We love thrillers! And when a cocktail of a love story, thrills, war, chase and technology is there, it is hard to resist. Let us check from our point of that how fascinating we found G.I. Joe: The Rise Of Cobra; from our perspective. The movie has no A-listed stars, but the actors doesn’t let it feel. It is worth to note that the name of Mark Wahalberg has been considered to play Duke but the role ultimately played by Channing Tatum, giving him worldwide recognition. The technical depart of the movie is strong and the sets are really visionary. The movie has the ingredients what people look for in such kind of movies. In addition to the tech stuff though, a tight story and commentable act is also needed to get loved by the audience. Let us see if the movie lives up to that. The name of the movie is not self explanatory. G.I. Joe is a group or rather we can say an army of a very different kind of highly skilled and exceptionally well soldiers of around the world; founded and working under command of General Hawk. Its base is somewhere beneath the desert of Egypt. They work without any personal association with a specific country. For them the entire world is their area of function. And when there is something comes up which require their attention, they are ready. They are working with NATO on many missions. Anyway, G.I. Joe is an army; and in the last segment of the movie, the antagonist rises by naming himself as Cobra; which sums up the name of the movie! Nano-technology is probably the technical phrase people heard more than other technology stuff in last one and a half decade, when technical advancements are concerned. Ability to work on the tiny particles and control them, can lead to miraculous inventions no doubt. And when the fantasy is added, it is worth talking about. 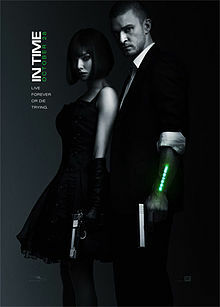 This movie is having the nano-tech based weapons as the core ingredient of the movie. It is the story of the near future. A weapons master James McCullen have created a new kind of nano-tech based weapons (fictional) which are good at dealing with atoms of anything. Their interaction makes the thing dissolve so fast that after sometimes there will be no existence of the target. The nano-tech weapons can be controlled by a specific mechanism developed for the same (which case cause short-circuits in the nanomytes and making them dysfunctional), they spread like a virus otherwise and are capable to destroy even cities. James run a company named M.A.R.S. which supplies weapons to most of the leading countries. After the presentation about these weapons to the high military officials of various countries and NATO, M.A.R.S. finalize a deal with NATO to provide 4 units of the weapon to the same. A troop of soldiers under command of American soldiers Duke and Ripcord is assigned the task to get the stuff delivered to the destination under the highest security. The troop with the air security support left the warehouse of M.A.R.S. and was on the way to the destination when it was attacked by the Baroness. The soldiers fought but the attackers overpowered them and all of the soldiers are killed during the attack but Duke and Ripcord. The attackers came via technically very advance vehicles and weapons and their mission is to get control of the nanomytes of course. Though Duke was able to prevent Baroness taking control of the bag in which the weapons were there, but when came face-to-face with her, he recognize her as Ana Lewis, his ex-fiancee. Duke and Ripcord was also about to be captured by the attackers but just in time a platoon of highly skilled soldiers, loaded with advanced weapons came to help them and prevented the weapons getting robbed from them. When asked by the rescue platoon to surrender the nanomytes to them, Duke refused, despite from being rescued by them. As it is his responsibility to deliver the weapons to the target. He then got to know that the rescue team was a group of soldiers belong to G.I. Joe. A kind of ultimate goal for any soldier. A place where technology meets combat skills. The training there makes them highly trained warlords. They function undercover and their base is under the dessert making it not traceable. Anyway the weapons were safe. When Duke and Ripcord was in conversation with General Hawk, the founder and superior of G.I. Joe, they are visited by James McCullen – the M.D. of M.A.R.S. He was very furious about the attack and the safety of the nanomytes. When he tried telling that it was unwise to sent the weapons under the security of Duke and his team, it made Duke feeling uncomfortable. Though gen. Hawk controlled the situation and affirm James that Duke and his team dead as they were said and there is no mistake from their end. James was however was still thinking that whatever is done by Duke and his troop was not enough. He then demanded to check the condition of the weapon by asking the technical lead of G. I. Joe that they should take care to turn off the tracker integrated in the weapons bag, so attackers cannot find the location of the weapons now. It was already taken care though. Later we got to know that it is James himself who sent the attackers and he was the mind behind the same. The question raises that why on the Earth he wanted his own weapons to get robbed. After all he spent 10 years of his life after the innovation of the same in addition to crores of Euros?! Well, as he have sold the weapons, he can collect the money from Nato, as he got the weapons back, he can sell them to the other interested parties and can get money from them as well. A master plan. We also got to know that Ana Lewis is now having a different identity and is married to a scientist who own a lab in Paris which is equiped with the latest equipments to work on the atomic stuff. Actually when checking the safe status of the wapons, James had activated tracker in the weapons bag so he can find the mysterious location of the G.I. Joe base and can attack again with re-inforced team and get back the weapons. Duke and Ripcord finally joins the G.I. Joe group. Now what? Will James be able to attack and still the nanomytes from G.I. Joe base? And if he can, will it be over? What are his other intentions to use these powerful weapons? What G.I. Joes will do against this conspiracy? What made Ana Lewis, once the fiancee of a soldier to join the evil forces? Why Duke and she were not togather anymore? Who is the chief research force behind this innovative weapons? There are so many questions, and the answers lies in the movie. There is a lot to watch. In addition to the Sci-Fi vehicles and underground base of the G.I. Joe, chase with the extraordinary technical and wearable suits (used during the chase by Duke and Ripcord), the climax fight and others; a challenging scene (with special effects) was the destruction of the Eiffel Tower. Digital domain and Prime focus VFX have contributed a remarkable amount of special effects stuff as well. The film was first screened in the US on July 31, 2009 at Andrews Air Force Base in Maryland. A sequel to G.I. Joe: The Rise of Cobra was announced the same year. originally slated for release June 29, 2012 but it was pushed back to March 29, 2013. It is said that the movie will be in 3D too. Rachel Nichols burned herself filming an action sequence with Sienna Miller. Overall a good movie to watch at leisure.